Should You See a Doctor for Relief of a Runny Nose? A persistent runny nose can be a sign of sinusitis, allergies and a number of other health issues. 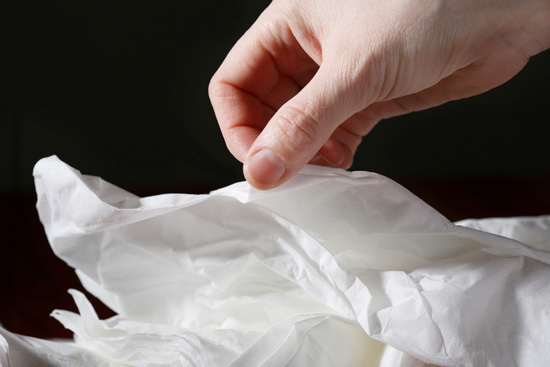 Almost everyone experiences a runny nose during cold and allergy season and can be a huge nuisance because it’s uncomfortable, to begin with, and it’s also inconvenient to have to keep reaching for tissues in order to try and manage it. After a few hours have gone by, and especially toward the end of the day, you can feel pretty fatigued by having had to deal with the effects of a runny nose all day long. However, are these symptoms serious enough that you should make an appointment with your family doctor to discuss the situation? For the most part, a runny nose should clear itself up within a couple weeks, but if you find that at the end of that time you’re still dealing with tissues and that exhausted feeling, it’s probably a good idea to call your doctor to have it checked out. What’s actually happening when you have a runny nose is that there is a great deal more drainage than usual emanating from nasal tissues and the blood vessels surrounding them. This excess drainage is usually triggered by inflammation which occurs when you contract a cold or are suffering from an allergy. Those delicate tissues become irritated and secrete far more fluid than they normally would. When that happens, the excess drainage will either go down the back of your throat, or it will come out of your nose, causing you to reach for the tissue box. you notice a yellowish or greenish nasal discharge, especially if it’s accompanied by pain in your sinuses. When a chronic runny nose affects your quality of life, it’s time to speak to an ENT physician. 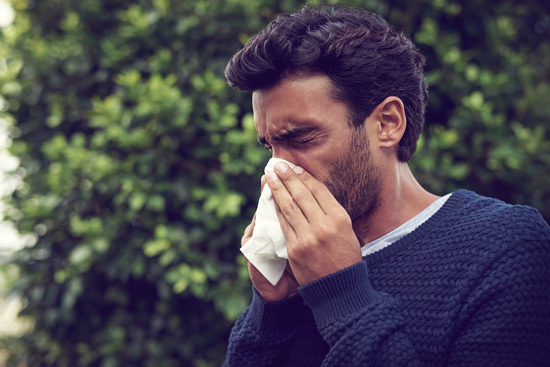 Allergies – it’s pretty well-known that allergies go hand-in-hand with a runny nose, because allergens irritate your sinuses, and that causes your nose to run. One of the most common treatments for allergies is immunotherapy, which involves receiving shots to boost your body’s response to the allergy. The objective of allergy shots is to gradually get your body used to the allergen causing the irritation, so that your immune system will tolerate it better, and will not over-react and cause inflammation, which then triggers a runny nose. This entry was posted by Social Media Team on May 16, 2018 at 11:00 am, and is filed under Nasal. Follow any responses to this post through RSS 2.0.You can leave a response or trackback from your own site.